My favorite month is October. I live in beautiful Southwest Wisconsin, where trees are everywhere. We live along the Mississippi River with Beautiful colorful bluffs on both sides of the river. I love the colorful leaves and the sound of them rusting in the breeze and under foot. Early fall the temperature is perfect, in the high 60’s and 70’s. October is the month I gave birth to my one and only, my beautiful Katrina. She is my everything!! With being born in October she has some awesome Birthday Parties. We celebrate her birthday the week end before or after Halloween and invite her classmates. This is great because the kids have another reason to wear their costumes. It’s always a fun time and has become something to look forward to every year. 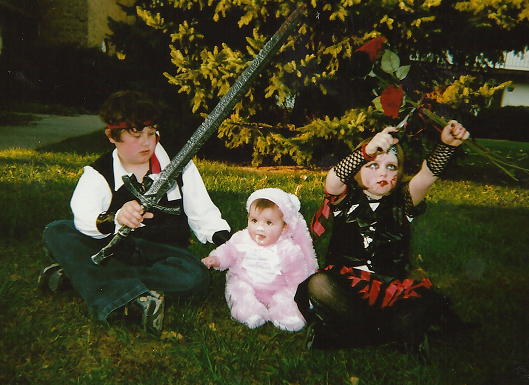 We have a family tradition on Halloween. We meet in town with family and we walk and go door to door every year. The kids are fantastic, and they stay with us adults at all times. They are in no hurry to get to the next house. You know how usually the kids are telling the adults to hurry up, well we are the ones usually telling the youngen’s to step it up. It’s always a great time until someone starts complaining that their feet hurt. Then we have a long walk back to the car. That part isn’t so fun! It’s always fun dressing up and getting costumes in order. My daughter is always something scary. 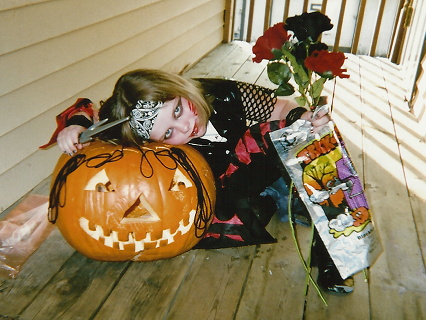 She’s been a vampire, zombie bride, a punk pirate, lol… You can be anything you want on Halloween. I think she is going to be a rag doll this Halloween. We will spice it up of course, I will be sure to post pic’s. Here are some pictures from previous years. 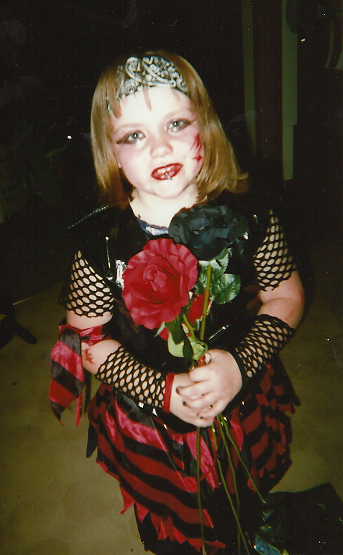 I would love to see your Halloween Pictures. Come on over to my facebook page and post them.